The musical performances that'll hit Coachella 2019 have been announced! And there's no Kanye, and no RiRi, despite months of rumors. 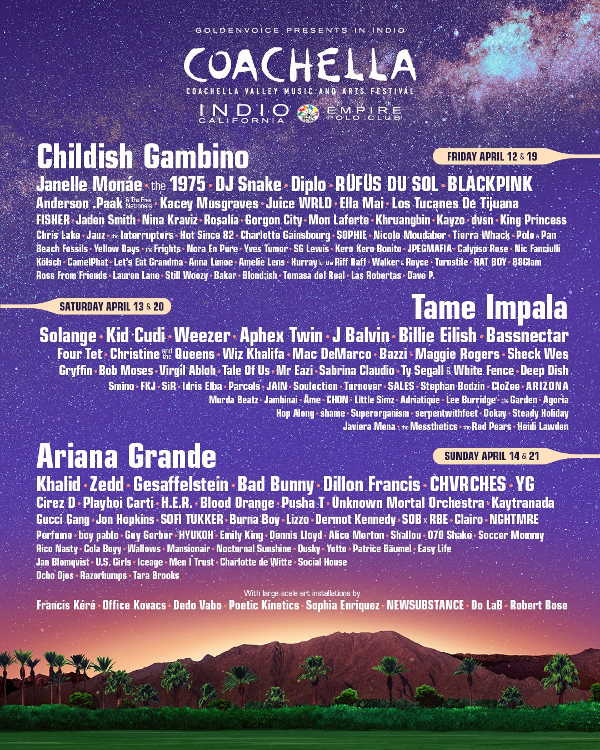 Childish Gambino, Ariana Grande and Tame Impala will headline the three-day music and art festival in Indio, California. It's one of the biggest music festivals of the year that brings together some of the biggest music superstars. Several of your faves will also be in the mix. Day 1 performances will include sets from Janelle Monae, Ella Mai, Jaden Smith, Tierra Whack, Juice WRLD, Anderson .Paak and more. 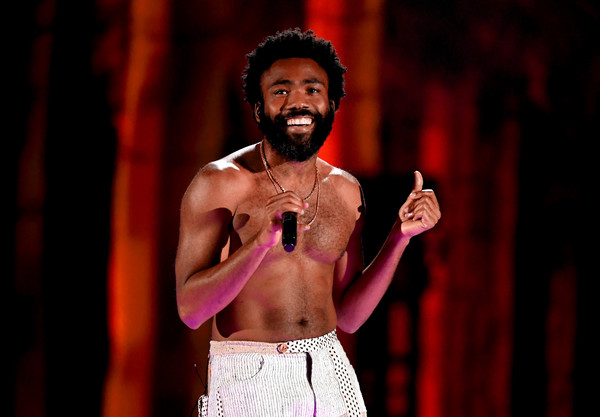 Childish Gambino will serve up the closing performance. Day 2 include performances by Solange, Wiz Khalifa, Idris Elba (y'all know he's a DJ), Kid Cudi, Virgil Abloh, Murda Beatz and more. Tame Impala will close out Day 2. On Day 3, fans can expect to wild out to Khalid, H.E.R., YG, Playboi Carti, Pusha T, Bad Bunny and more with Ariana Grande hitting the Coachella stage for the first time to close the festival. The flyer listed "Gucci Gang" as a performer, which turns out to be a major typo. It's supposed to be Gucci Mane. Oop. Before the official announcement, it was rumored that Kanye West would be returning to the Coachella stage, but it's not happening. The reason? 'Ye's stage set up is too complicated for the festival setting. According to TMZ, Yeezy was in negotiations with Coachella, but that all went out the window when they couldn't agree on the stage production. 'Ye made it known to festival organizer Goldenvoice he was NOT going to perform on a traditional 60x40 foot stage. He said it was "artistically limiting." Oh. Since Goldenvoice isn't going to alter the stage, they mutually agreed to call off Kanye's performance. Sounds like this came straight from Kanye's mouth. As you know, for Kanye's "Saint Pablo Tour," he performed on a floating stage above the crowd. By the way, Rihanna was also one of the rumored headliners since she's dropping a new album this year. Coachella 2019 is set to go down over two weekends on April 12-14 and April 19-21 at the Empire Polo Club in Indio. Tickets go on sale tomorrow (Jan. 4th) at 11AM PST at Coachella.com.